One of Patricia Grace’s ancestors, her great-great-grandfather, was Wiremu Parata Te Kakakura (as known as Wi Parata). Te Kakakura donated land for the railway to run through the area. He also donated land for a government school. In the 1870s, he entered Parliament as the member for Western Maori. In 1877 he famously took legal proceedings against the Bishop of Wellington. The Anglican Church had reneged on an agreement to open a school that Ngati Toa children could attend. He lost, of course, the Treaty of Waitangi being declared a “nullity” by the Chief Justice. Patricia Grace’s land is a remnant of the land once owned by Te Kakakura, a rare portion still owned by an ancestor after over a hundred years of Maori land alienation by voluntary and compulsory means. Across the country, only 5% of land remains in ancestral Maori ownership. 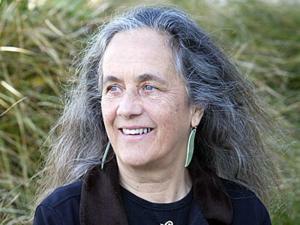 Patricia Grace has fought to save her ancestral land for posterity throughout. She has not taken this stand for her private benefit, far from it. She could have done a deal to sell the land to the government, but she refused. Instead she has applied to the Maori Land Court to have her land declared a Maori Reservation, which when established would put the land beyond reach of the government, and Patricia Grace will no longer be its owner. 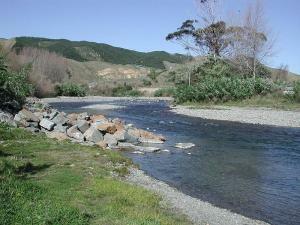 Last year the Environment Protection Authority, that Orwellian-named body this National government created to bypass local councils to ram through resource consents, approved the section of the expressway to tear though Paraparumu and Waikanae; the application having been made by the New Zealand Transport Agency, another arm of the government. So one lot of government-appointed toadies agreed with another lot of government-appointed toadies. Patricia Grace submitted against the expressway plans to no avail, but she used her right to appeal to the Environment Court under the Public Works Act against her land being taken, and the decision on this case was given last month. We need more Patricia Graces. She has shown that resistance can succeed.